Oh sweet little Sutton. What a gorgeous name for a gorgeous baby! Sutton’s mommy opted for a mini newborn session – which is my newest session offering. One hour of as many poses as we can squeeze in! Little Sutton cooperated so nicely and we got SO many great photos. Yes, aaaaall of these poses (and even a bunch more than shown here) were from a mini newborn session. I find that I can usually over deliver on these sessions as long as the baby is kept awake a little before the session, and arrives with a full belly. Then they’ll sleep so soundly for the hour, and we can get in lots of setups. Sutton’s mommy sure delivered – she was out like a light! 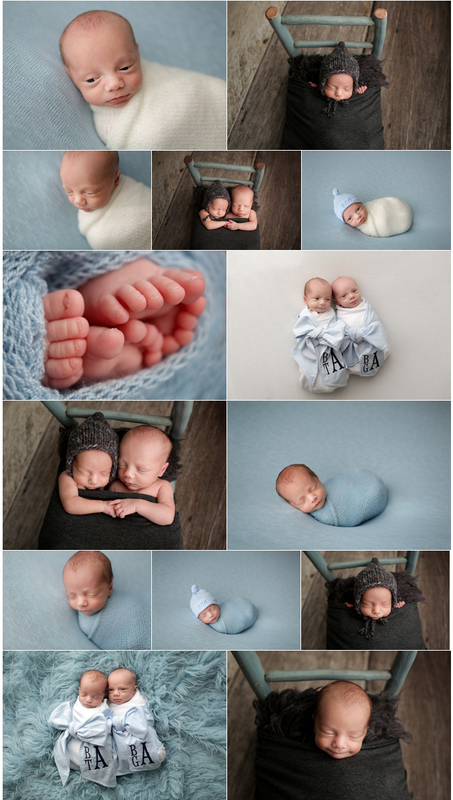 If you’d like more info on a mini newborn session, please reach out! I love doing these. If you’re expecting a baby in the Raleigh-Durham-Wake Forest, North Carolina area and would like some photos of your newborn, please contact me! I can be reached through e-mail, or contact me via my contact form on my website (link below) to book your photo session. Thank you so much! Here are a few shots from Will’s first photo session! I have a stunning family full of little boys to share with you today! Their boy’s ages and their family dynamic is so similar to mine, it just blew my mind! They were a family of five, with three boys with unique personalities, who are loved so much. It was really sweet to see. We got some great photos of all three boys that I found so sweet and touching. And of course lots of great photos of little Lochlan by himself. This family just melted my heart! Here are all of my favorites from Lochlan’s first baby session! I can’t get over what a beautiful baby little Sid is! And his name totally matches him! Sid’s daddy is in the Army and they requested camouflage and some Army shots, and they brought along some of Dad’s Army hats and dog tags. The result was adorable on him. There is just so much cuteness in this session! I loved every minute with this family, and I was thrilled to personalize this session for Daddy. The photo where Sid is smiling with Daddy’s hat and dog tags is my favorite. And the cute little teddy bear shots are precious too – I get requested to do those almost every session and they’re always favorites of mine and the parents. Too many favorites to even mention them all! So here are some of the highlights from Sid’s Raleigh newborn photo session. I’m excited to introduce you all to baby Reyansh, who was 14 days old for his newborn session. He is such an adorable baby with his gorgeous skin and head full of hair. I really enjoyed photographing him and snuggling him too! Baby Reyansh had some fantastic awake time while he was here with me. I always love some eye contact, and boy, little Reyansh was ready to party for some of his session. So awake and happy! And then he fell right back asleep and let me pose him some more, which couldn’t have been more perfect. Here are some of my favorites of Reyansh’s newborn photo session! I hope everyone is having a great summer! Every summer I take time off to be with my three little boys on their summer vacations. So I’ve had sessions through July, and now I’m starting a month off in August. And with no shooting, I’m hoping to fit in a little blog catch-up now! I have two adorable baby boy twins to share today. Their session was all boy – lots of blue and gray! Their mommy bought and brought along a lot of props with her for the session, so you’ll notice the monogramming below. 🙂 They are precious little boys and their parents have been so blessed with double the love. I enjoyed my time to snuggle them! Baby Jase was such a tiny one for being 14 days old. He was so sleepy and cute too! I had met his Mommy a few times before, so I was excited to see her and catch up with her! I’m excited for her on this journey into motherhood. Tiring, but so rewarding! And for Jase’s newborn session, she requested red, which isn’t a color I use very often, so it was fun to switch things up. And I really loved the red! I think it’s just so stunning. And here is cutie little Jase for you! Baby Finn has to be one of the cutest baby boys I’ve ever seen! This cute little guy belongs to some long-time clients of mine. This is their third baby that I’ve photographed, and it’s such a great feeling to see their family grow over the years. I’ve been thrilled that they’ve come back to me for each baby. Such an honor! Little Finn came to my Wake Forest NC newborn studio at three weeks young. His hair was just amazing, and his features so adorable. He had a great mix of being awake and sleeping, so we got some photos of those big open eyes, which I always love. I used some green during his session (one of my favorite colors! ), which I think looked so good on him. And of course some tans and blues, which everyone loves for baby boys. I think my favorite photos from his session were those of him in the little green bucket. And that one photo where he’s sticking his tongue out at me — so priceless and funny!! He was a lot of fun to pose!